An entire town comes together to create an inclusive playground. Water-main breaks, bees and time conspired against the original Kiwanis playground at Christmas Run Park in Wooster, Ohio. Built in 1990 by an army of 1,000 volunteers over the course of a week, it was a huge community undertaking. Boards were cut, stained and bolted together to create the largest playground in Wayne County—a wooden castle-like structure complete with towers, bridges and a maze of walls. The much-loved playground had more than 1,000 visitors a week. Unfortunately, the installers hit a water main when building it, says City of Wooster Public Properties Maintenance Division Manager Curt Denning. It started to deteriorate and had breaks over the years, forcing the city to close the playground and work around the structure each time to repair it. The water main needed to be moved. Decades of use and weathering began to take their toll on the play structure. Then wood-boring bees moved into the primary timbers, causing structural issues. The passage of time did more than deteriorate the playground. It also changed the idea of what a playground should be. The Americans with Disabilities Act became law in 1990 and standards covering public playgrounds went into effect in 2012. The city needed a playground that was more accessible. Just as circumstances conspired to necessitate removing the old playground, people from different parts of the community came together via the Kiwanis Club of Wooster to plan and build a new playground. The mayor, Robert F. Breneman, who is also a Kiwanian, mentioned the city was planning to remove the old playground. Jim Lanham, who had just begun his term as president of the club in 2014, was looking for a new playground project to take on. Cameron Maneese, who had helped build the original playground, was director of the Wayne County Family and Children First Council. She and a group of parents with children who have special needs were looking for accessible play spaces in the area. Plans were made to begin raising funds for a replacement playground as the city put out bids to remove the old one and prepare the site. The goal was for the Kiwanis club to contribute US$250,000 and the city to chip in about $100,000. “It was bittersweet for everyone who worked on the original playground, but we were excited to jump on it because we felt ownership,” says Lanham, who had become involved in Kiwanis while volunteering to help build the original playground. The club was so excited to get started, they began by looking at companies that offered playgrounds similar to the old one. Brillhart and Andrew Guidetti, supervisor of Traffic, Signs, Parks for the city, helped solicit feedback from Wooster’s elementary school children. Brochures were sent out, allowing the children to circle pictures of the playground equipment they liked, draw the type of playground they wanted and write in comments. They were surprised by the results. The stakeholders met with a representative from Landscape Structures, a Vision Partner of Kiwanis International, who explained the benefits of current playground equipment that is easier to install, safer and provides access for children with special needs. That access takes many forms, including transition points that make the equipment easier to use, quiet spaces for children who need some down time apart from the noisy play area and equipment that supports sensory play for kids with various cognitive abilities. Certain in the knowledge of what the children of the community wanted and what modern equipment was available, the next step was to raise the funds. Kiwanis club members made donations and part of the proceeds from the club’s regular annual fundraising efforts were routed to the playground. And the community got involved. Alicia Wallace, immediate past president of the Wooster club, was chair of the fundraising committee at the time. She contacted foundations first to get the ball rolling, applying for grants from the Kiwanis Ohio District, Kiwanis Children’s Fund (formerly the Kiwanis International Foundation) and others. Those grant funds helped prove to the community that the new playground would come to fruition, helping to get the ball rolling. The Wayne County Community Foundation allowed the Kiwanians to send 500 fliers at no cost to solicit donations. Brillhart set up a Facebook page to keep community members updated on their progress. Businesses were pledging their support. The city was onboard. It was all going well, until competition for funds threatened to derail the entire process. The Cornerstone Elementary PTO members had decided they were going to build a special needs access playground for their school, which was only a quarter of a mile away from the Kiwanis playground site. The two groups decided to work together instead of compete. Lanham and two other Kiwanians sit on the Cornerstone board. The organizations went to large potential donors together, asking them to support two different playgrounds. The teamwork paid off. Kiwanis and the City of Wooster raised $443,000 for the playground, well beyond their $350,000 goal. The extra money allowed the Kiwanians to expand their equipment purchases, which included dual zip lines, real and artificial boulders to climb, swings in different areas for kids of different ages and abilities, a treehouse structure and a merry-go-round and a rocking boat that are wheelchair accessible. On April 16, 2016, Eric Sheffer, president of Penchura LLC, the Landscape Structures playground consultant in Michigan and Ohio, put on his striped referee shirt and headed to the build site. He had already provided Kiwanis and the city with the game plan for organizing the 300 volunteers needed to construct the playground. Denning’s team had prepared the site and Guidetti’s workers were standing by in case any heavy equipment was needed. The plan was to build the structures in one day. Denning said Sheffer knew exactly what the community build would take, right down to how many step ladders, bags of concrete, shovels and loads of mulch (375,000 cubic yards) would be needed. “It was great to have that guidance so the day of build we weren’t scrambling around,” he says. Local businesses donated tools, gloves, food, landscape supplies, discounted site prep and even photography services. Volunteers came from churches, the Boy Scouts and Girl Scouts and, of course, Kiwanis. Now all of the community’s children can participate in that experience. Jen Proano, a mother of three, had given up on taking the kids to the old playground. The wooden walls made it impossible to keep an eye on her kids and Meg, her daughter with special needs, didn’t have much to do there. Now her family can enjoy the playground together, along with the rest of their community. Interested in building a playground? 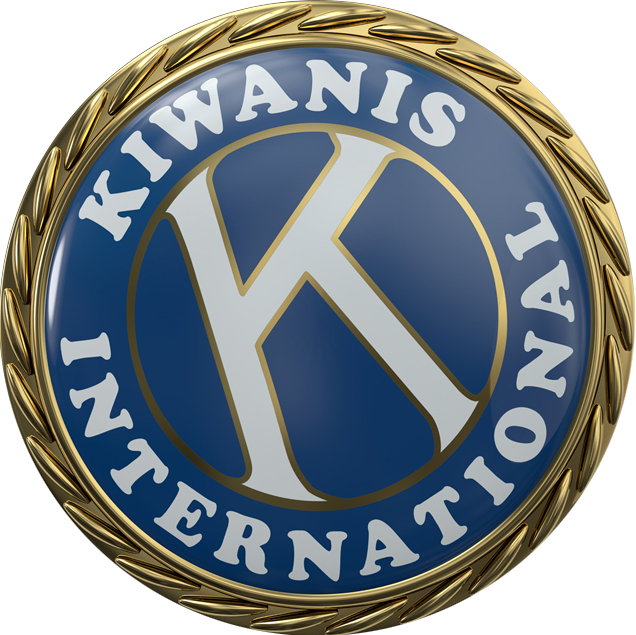 Learn more about Kiwanis Vision Partner Landscape Structures at kiwanis.org/lsi. This story originally appeared in the April/May 2017 issue of Kiwanis magazine.